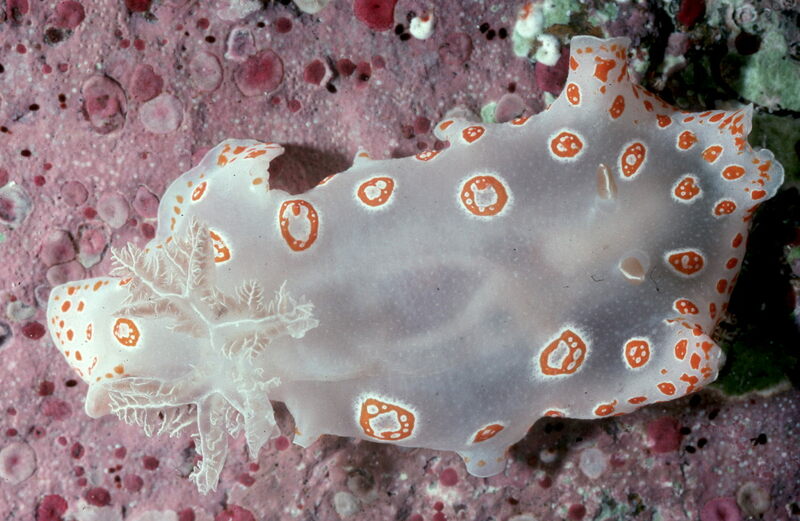 "Everything you ever wanted to know about nudibranchs but were too timid to ask"
Some thirty-five years ago I was living at the Old Mission Santa Barbara, California, undergoing theological training to become a Catholic Franciscan priest. There is a museum, down and across the canyon from the mission — the Santa Barbara Museum of Natural History. The director of the invertebrate zoology department was Mr. Nelson Baker. He smoked the biggest, thickest, longest, most humongous cigars available. 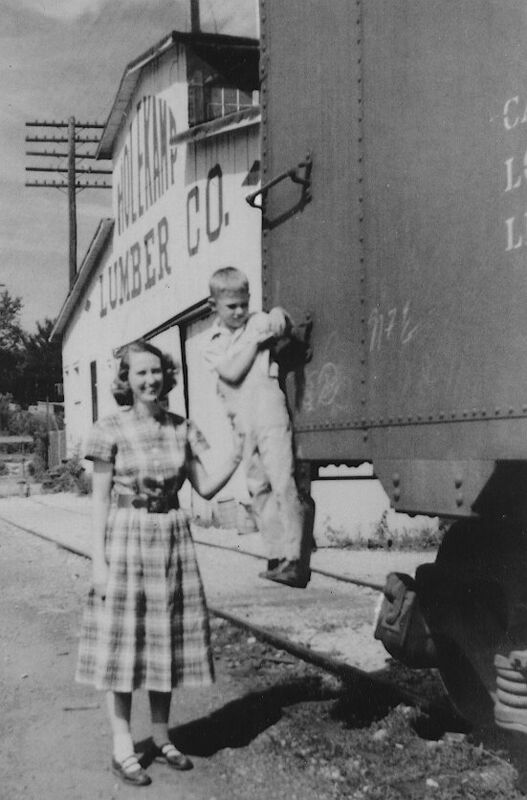 And back in those days, he didn’t have to go outside under a tarp like California’s Governator today. One of the staff members was a gentleman named Gale Sphon. He sort of took me under his wing, allowed me to do some part time work at the museum, and in general helped a fledgling scientist. Here we'd be, using flashlights and lanterns, in pitch total blackness, wearing thigh-high rubber protective boots. We'd squint and squeeze our eyeballs looking for 5-15 mm long slugs, often very well camouflaged. Then, like the beginning scene of “2001, A Space Odyssey,” there'd be a sudden moment of enlightenment as the sun rose and cast its light onto the tide pools. What had been only outlined by our narrow beams of light, was now brilliantly revealed in a full kaleidoscope of color. The algae reflected marvelous shades of brilliance — green, a blue glow, reds . . . The tide pools exploded in a brilliant rainbow destroying the darkness with iridescent coloration. in pinks, whites, yellows, oranges, blues, and all sort of shapes and sizes! Gale and I would work the low tide site another hour or two, until the low tide became slack, and then reverse to come back in and cover our search areas. But we were satisfied, took our bucket of unidentified species back to the museum, and placed them safely in an aquarium. He'd go home and I'd return to the Mission to take a nap, until we would regroup later in the day to identify the species (unnamed, range extensions, well-known, etc.) with the museum’s microscopes (and Mr. Baker’s cigar). That galvanized my interest in nudibranchs — to go from pitch blackness in the field to the elegant beauty of sunshine in the morning! From there it did not take me long to really get hooked on nudibranchs. I took a summer invertebrate zoology course, had to do a research project — and guess what I chose? The interactions between a nudibranch and its cnidarian prey! 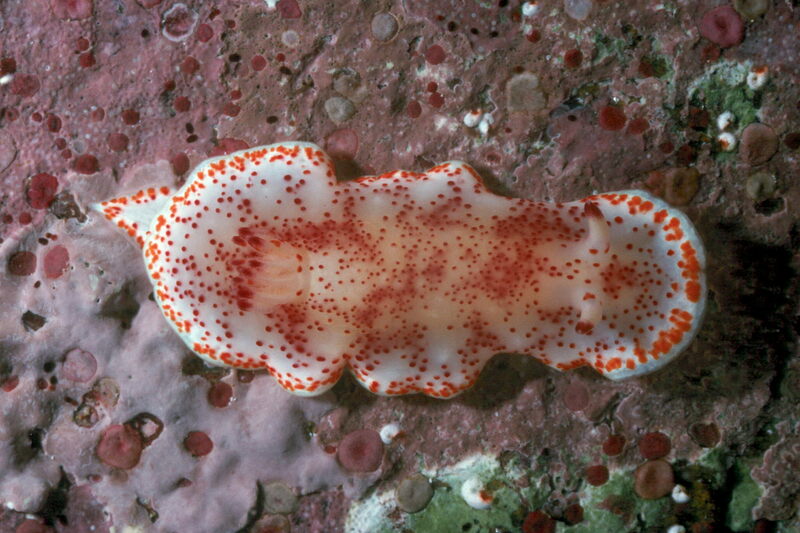 I published my first scientific article (in The Veliger) in 1969, and named my first species of nudibranch in 1970. 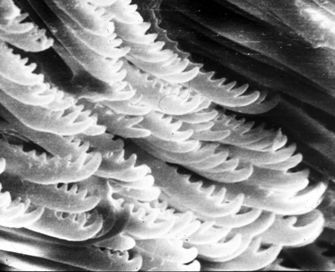 This was a real milestone, because it was the first species of nudibranch ever named that used scanning electron microscopy to illustrate the radular teeth! This species was named in honor of Father Anthony Baumann, my high school biology teacher who was so important in my formation as a biologist. This recent article by Terrence Gosliner and myself, describes three species of Okenia nudibranchs from the eastern Pacific and the coasts of Baja California that we discovered and named. The Chromodoris marislae is more common in the southern Gulf of California, although this photograph was taken at Bahía de los Ángeles. This specimen of Peltodoris nobilis is intriguing, because the animal is usually yellow with black maculations, but it has been feeding on an orange sponge which affected its coloration. Biologically, nudibranchs and their related opisthobranchs are incredibly interesting animals — showing camouflage, chemical defenses, and all sorts of other defensive mechanisms. Besides, they are beautiful, all dressed up ready to party! Enjoy the animals, and their names! Go take pictures of them!!!!!!! Dr. Hans Bertsch was born in St. Louis, Missouri, and received his Ph.D. from the University of California, Berkeley. His many publications include technical works on archaeology, the philosophy of science, marine biology, and popular scientific articles on various natural history topics. He has published in Mexican, Japanese, Israeli, German, Norwegian as well as U.S. journals. 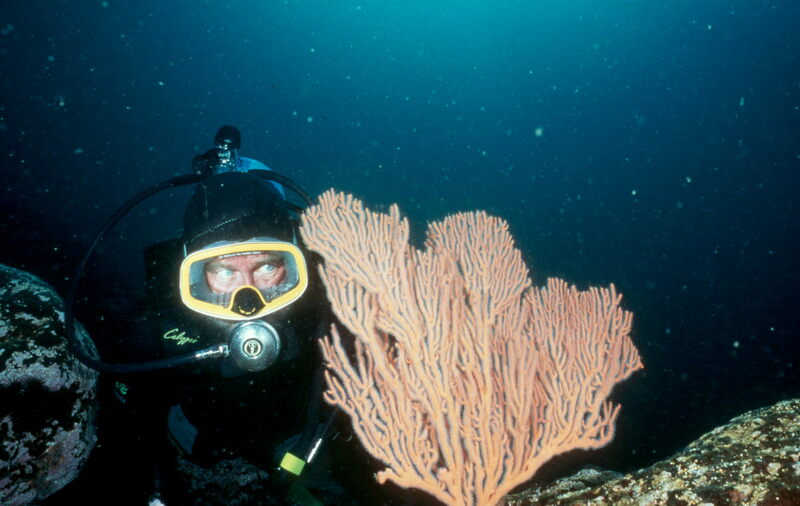 He has named over 30 species of nudibranchs, and has had several named in his honor. His favorite is Bajaeolis bertschi, foudroyantly colored in various shades of pink and red, with white maculations. 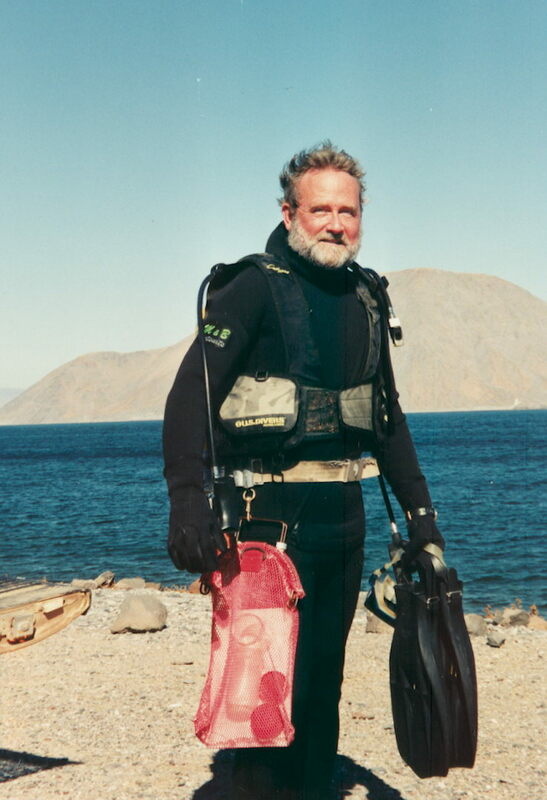 When not underwater, preparing lectures, or writing, he enjoys meandering the dirt roads of the Baja California peninsula, plant, animal, and rock art hunting. AT: on Hans Bertsch Although he has written many technical works of great erudition, his ability to communicate his love of the creatures he studies, and his respect for their world, are extraordinary. 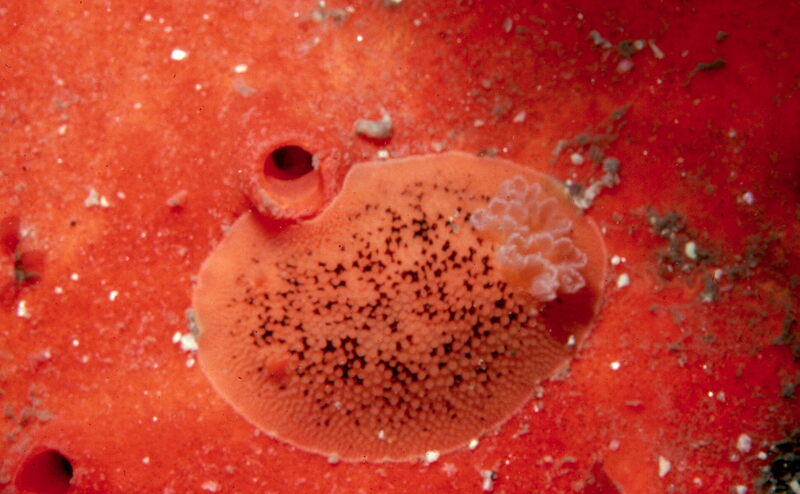 I was besotted with sea slugs before I read "Everything . . ." but with a bit of knowledge and a lot of his enthusiasm, my awe has grown, with lots more curiosity. He has infected me with the wish to know more, which is what science and communication should be all about. I hope he continues to explore, and to write more for those of us who have never seen a courting nudibranch, let alone seen a writer, let alone a scientist, so casually use the word "foudroyantly." 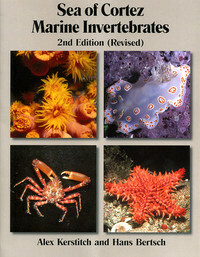 A comprehensive field guide to the sponges, molluscs, echinoderms,worms, crabs, shrimps and other intertebrates of the Gulf of Mexico and adjoining Pacific coast from Mexico to Peru, featuring additonal photographs by Hans Bertsch. The Slug Site, with the must-bookmark "opisthobranch of the week"
"Cognitive failure and behavioural determinism: The effect of nudibranch/opisthobranch confusion on the lay brain"
"Excitability in scientists: A study of exclamation marks"
This essay appears here with thanks to Dr. Hans Bertsch, whose payment was less than a brass razoo. and whose interests are as intriguing as a bletted medlar tastes. – A.T.